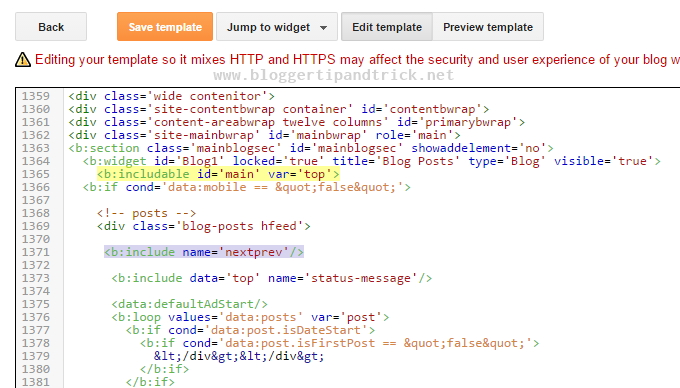 Blogger default posts page navigation helps you to navigate through posts pages in your blog. It simply includes "Home", "Newer Posts" and "Older Posts" links. It is normally displayed under blog posts. But if you want to move it to the top of your blog posts, follow the steps given below. If you want to show posts page navigation links only at the top you can remove this code. If you want to show it both at the top and the bottom, then do not make any change to it. Save the template and refresh your site.